BRYAN EATON/Staff photo. 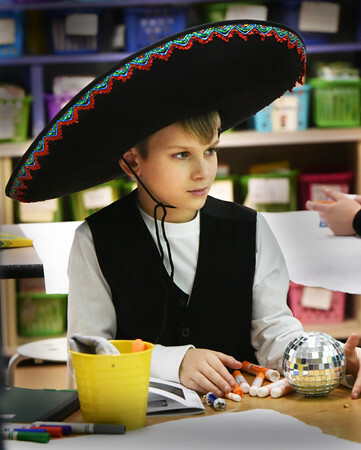 Tyler Brosch, 11, brings a little bit of Mexico to his fifth grade class at the Pine Grove School in Rowley on Tuesday wearing a sombrero. There is a theme each day during Read-a-Thon Fun Days this week since it's National Reading Month, and Tuesday it was "Dress in Your Wackiest, Tackiest Outfit."